I’m back from a fabulous holiday but am both jet-lagged and hungover – not a nice combination, but yes, Christmas parties have started early! 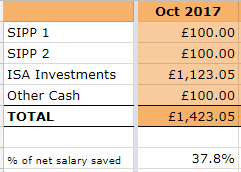 I’ll do a bit of an update on my hols at a later date but without further ado, how much of my net salary did I save in November? I saved 25.2%. My worst number since I returned to work but I’m quite surprised I even saved this much to be honest. Hurrah for automated savings! My average for the year has now dropped to 42.8%. 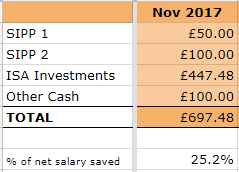 Unless I have an utterly disastrous December (it’s not looking great but shouldn’t be that bad), I should be able to make a reasonably good 40% average savings rate. The above savings includes £25 premium bonds winnings, £36.75 from TopCashback*, £50 rent received and £85.73 affiliate income from OddsMonkey (thank you to all those who joined via my link – much appreciated!). I sold my Ladbrokes Coral shares to take 15% profit (including dividends received over the two years I’ve held the stock). I sold as part of portfolio simplifying exercise but my decision to sell was also partly based on my thoughts that the government’s pending restrictions on the fixed odds terminals which will likely to have a big impact on the company, plus the viability of high street bookies in general. As for the takeover by Foxy Bingo owners, GVC? Not really interested to be honest. The funds from this sale have been added to my usual monthly capital to top up one of my existing ITs. 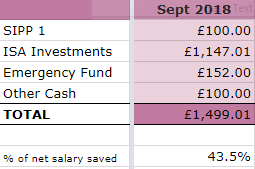 Markets appeared to be up a little this month, boosting my Future Fund, which now stands at £130,765. Another step towards my next big milestone! Another blur of a month, not one of my favourites with the beginning of winter and the dark mornings/evenings. Still no progress on the kitchen – I’m facing a real possibility of it not being completed before the end of the year! Anyway, how much of my net salary did I save this month? I saved 37.8%. Surprisingly a slight improvement on last month but not by much. With Christmas shopping in my sights (at some point very soon), it’s not going to really get any higher than this. My average for the year has now dropped to 44.6%. I’m not going to reach my target but will be satisfied with it above 40%. The above savings includes £575 matched betting profits (which includes the purchase of some shares in BrewDog* as mentioned in a recent post) and £98.05 affiliate income from OddsMonkey (thank you to all those who joined via my link – much appreciated!). I sold my De La Rue shares to take 53% profit (including dividends received over the three years I’ve held the stock). I don’t usually sell any of my shares, mainly because my strategy is to buy and hold, but as I want to simplify my portfolio, I’m selling off stocks off bit by bit and reinvesting the profits. The funds from this sale will be added to my usual monthly capital to top up one of my existing ITs. Markets were on the up this month, boosting my Future Fund, which now stands at £129,187. Another step towards my next big milestone! 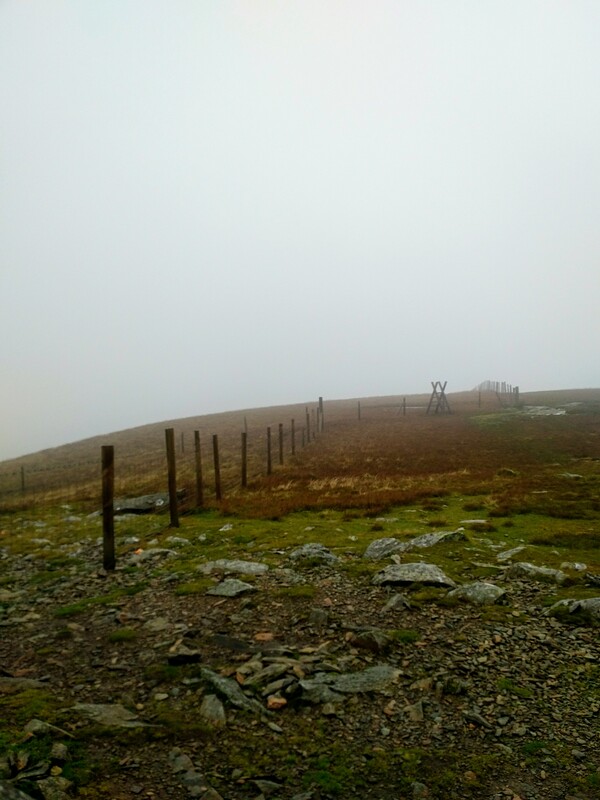 No idea where this month went – I had one weekend away (cocktails are never a good idea!) and that’s pretty much it. No progress on the kitchen so it’s still only half done, but at least I can cook now so the poor diet from previous months has improved. Hopefully, all will be completed by the end of this month. So, how much of my net salary did I save this month? I saved 37.5%. An improvement on last month but not by much. I think this is going to be as good as it gets, especially with the more ‘expensive months’ coming up. My average for the year has now dropped to 45.4%. I’m not going to reach my target but I think I’ll be happy if I can keep it above 40%. 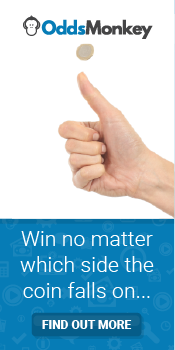 The above savings includes £200 matched betting profits, £7.50 from TopCashback*, £50 rent received and £93.57 affiliate income from OddsMonkey (thank you to all those who joined via my link – much appreciated!). Nothing new was purchased, I just topped up existing holdings. Markets were a little volatile, which caused my Future Fund to drop slightly in value, despite the extra capital added. It now stands at £124,961. Just a small step backwards but I’m still slowly plodding on towards my next big milestone!